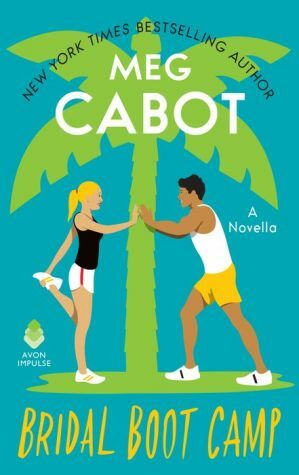 From #1 New York Times bestselling author Meg Cabot comes the first story in her Little Bridge Island series—which also includes an excerpt from her forthcoming new full-length novel No Judgments! Looking for a tropical escape? Welcome to Little Bridge, one of the smallest—and most beautiful—islands in the Florida Keys, home to sandy white beaches, salt-rimmed margaritas, stunning sunsets, and some of the quirkiest—but also kindest and most resourceful—people you’ll ever meet. Physical trainer Roberta “Rob” James moved to Little Bridge hoping she’d found paradise, but things haven’t turned out quite as she’d hoped. The closest Rob has come to her “happily ever after” is happy hour at the Mermaid Café with her buddy Bree, the bartender slash waitress who’s got romance problems of her own. But Rob’s situation suddenly changes when sheriff’s deputy Ryan Martinez accidentally enrolls in her bridal boot camp class. Turning mush into metal in time for the big day is Rob’s passion (because even the happiest bride could use a little toning). But what happens when a guy who’s all mush meets a girl who’s all metal? They discover they have a lot to learn . . . about each other, themselves, and the island paradise they’ve come to call home.